1 x 1PC Windows 10 Home Digital Product License Key with installation media. 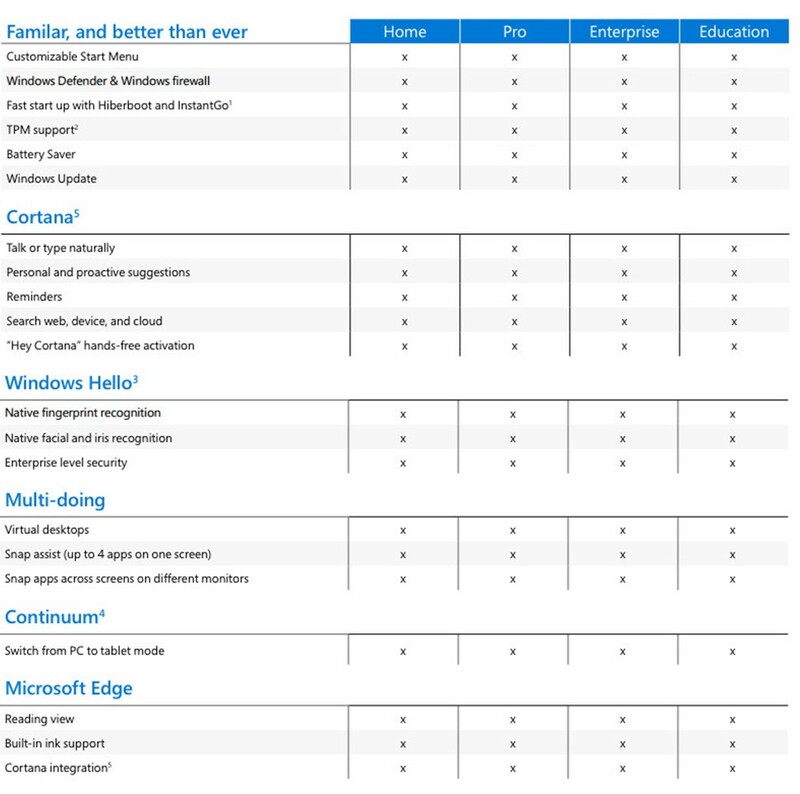 Windows 10 Comes in many different Editions: Home, Professional, Enterprise. Other not so common editions include Education, S, N editions. To choose whats right for you please view the comparison table at the bottom of this page to compare and contrast the endless features to see whats right for you. Windows 10 bridges the gap between PCs and tablets without alienating its user's. Windows 10 combines the best bits of old and new Windows features into a sleek cohesive package, while correcting nearly all of the missteps of previous Windows.. The upgrade process is mostly painless and well worth the transition. Windows 10 delivers a refined, vastly improved vision for the future of computing with an operating system that's equally at home on tablets/Laptops and Desktop PC's yet full of endless features. Get the new and vastly improved Windows experience when you upgrade to Windows 10. You'll soon discover that it is not only familiar to Windows users but a vastly improved personalized experience that takes everything you already love about Windows to the very next level. Windows 10 delivers an even better Start Menu, expanding the possibilities and bringing over your favorite apps by pinning so they're easily accessible. Not only does it make multitasking easier than ever; it interoperates well with the existing software and hardware you already have, allowing you to stay productive whenever you need to get to work. When you upgrade to Windows 10 - your apps will work great in all new modes, on all available Windows enabled devices. The Microsoft Store links your apps to devices that are designed to work perfectly with the latest version of Windows to provide a new lease of life. 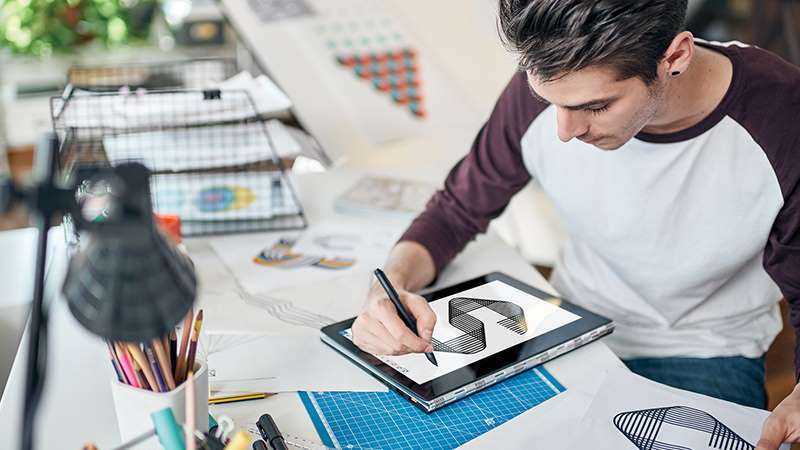 Whether you want to work or play; Windows 10 interacts with your devices in the perfect way. Amazing apps like Windows Mail, Calendar, Music, Video, Maps, and much much more. And the gamer in you will love how your Windows 10 device syncs with Xbox Live, letting you record gameplay in seconds, stream games from your Xbox One console to your device anywhere at home, and more. Buy Windows 10 now and you'll get more flexibility than ever before so you can experience the latest in Windows technology. The familiar Start menu is back and better than ever before with endless customisations. Windows 10 comes with apps that work across all your devices - Photos, Maps, Music Video and more. Join your Domain. 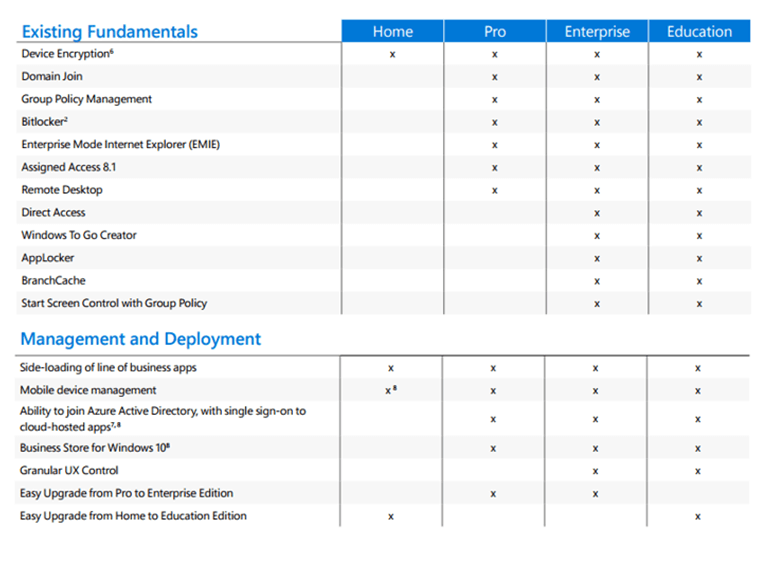 You can connect to your business or commercial Domain/Azure Active Directory to use network files, servers, printer, group policy features and much more. Enhanced encryption. BitLocker enhanced data encryption and protection to help keep your data and information encrypted and safe. Other enhanced security management features also available. Remote log-in. Windows 10 enables you to log in with Remote Desktop to sign in and use your existing PC while at home or on the move from a different computer. Virtual machines. Create and run virtual machines with Hyper-V so you can run more than one operating system simultaenously on the same Windows 10 PC. Windows 10 was developed using feedback from millions of people, so you can feel confident that Windows 10 works the way you want it to. As the most secure Windows to date, Windows 10 delivers full comprehensive protection—including offline/online protection, firewall and antiphishing technologies—all delivered built-in at no extra cost to you.Additionally, Windows 10 helps you stay current for a worry-free experience with the greatest features, regular updates, and our latest protection against, phishing and malware. Windows Hello is your password-free sign-in login page that gives you the most secure way to unlock your Windows devices. Use your face, fingerprint or companion device to allow yourself access into your PC. Naturally capture notes on your tablet. Quickly turn thoughts into action with the magic of Windows Ink. Powerfully pair inking with Office to effortlessly make edits, create content, drive ideas forward, create notes within lectures or schoolwork. Microsoft Edge - A web that works the way you do. The faster, safer browser designed for Windows 10. A browser should do more than browse. Every click, swipe and search should move you forward. 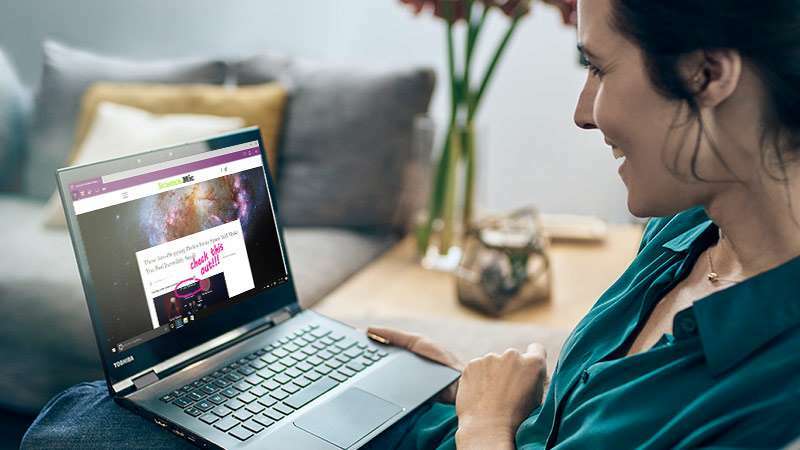 Microsoft Edge helps you stay one step ahead.The all-new browser is great for getting things done online. Write or type directly on webpages and easily share the mark-ups; you’ll also like reading online articles free of distractions. The address bar gives you personalized recommendations to get you quickly to your online destination. Share Great Xbox 360/One achievements, xbox community, achievements, and game collection via the Xbox application. You can even use your Xbox Controller and stream Xbox One games on your home Windows 10 PC, tablet or laptop. Take your movies, music, and photos with you across all your devices with OneDrive. 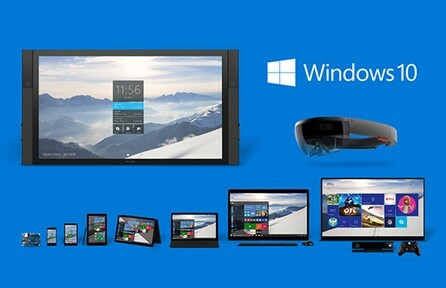 Windows 10 is extremely Universal - designed to go with you seamlessly from one device to another. It's fast, responsive and versatile. With Windows 10, it’s easier than ever to do great things with ease of simplicity. Windows 10 combines the familiarity of the Windows you already know and adds great improvements and features you’ll love. Its Fast, efficient to boot up and resume quickly. And Windows 10 has more built-in security features than ever to help protect against malicious software. Multi-tasking like a master, just got easier, with the ability to snap four things on the screen at once. Work projects became less cluttered. Screen getting crowded - Create virtual desktops to get more space and work with just the items you need. Plus, all your notifications and key settings are delivered on one easy-to-reach screen to make it extremely user friendly and simple. It’s the all-new feature packed browser designed to make the web work the way you want to. You can Write or type directly on webpages and share your mark-ups with others. You’ll like the reading view that clears away the distractions and makes scanning easier than ever. There’s also an improved address bar to help you find things faster. 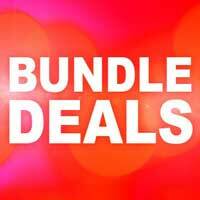 Moreover, its free and regularly up to date to keep you secure on all your favourite websites. The best screen is always the one you’re on and Windows 10 optimizes your experience for your activity and device, so the Onscreen features' adapt for easy navigation smoothly from the smallest to the largest displays seamlessly. Your Windows 10 device recognizes you and acknowledges your presence in a truly personal fashion. With Windows Hello, your device greets you by your name and lights up in recognition thus waving you through log-in and freeing you from having to remember or type in a password. Play all your Xbox One games on your Windows 10 PC, laptop, or tablet. Cortana is your personal digital assistant who works across all your Windows 10 devices to help you get things done in style. Cortana1 is your truly personal digital assistant, designed to help you get things done. Count on Cortana to set reminders, work across more of your devices and become more useful every day. If you work with big data, create large graphics, edit video, or need CAD (Computer Aided Design) then Workstation version is for you. It's designed for researchers, engineers, video editors, graphic artists, and teams that work with huge data. It stores, transfers files faster, and even finds and repairs data faults quicker, plus has the speed, resilience, and power to run on the next generation of PC hardware for server-grade data protection and performance and more. These are the minimal basic requirements for installing Windows 10 on a PC. If your device does not meet these specifications, you may not have as great an experience with Windows 10.